I know the res size is small, but this was more of a personal wallpaper. 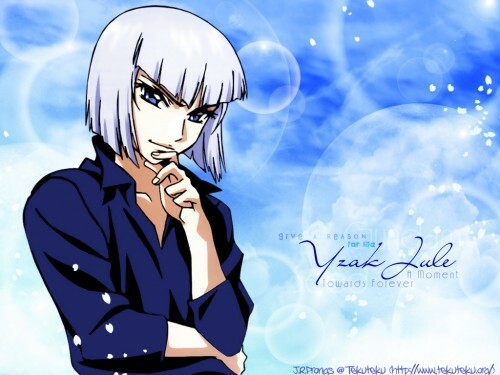 Theres just no Yzak wallpapers out there, ne? I like this. Not sure how I feel about the Sakura petals, but otherwise it's a pleasing wallpaper to look at. The thick black lines and black shadows make the character picture very dark which doesn't fit the bg very well. It also makes the character picture stand out a lot. eeeeekkk !! i think this is the first yzak wall i've ever seen.... hee.. maybe not... nice nice !! thank u for this great wall!!! love how you did this, btw, nice blue bg + perfect scan! Oh Lord! What a wonderful pic of Yzak :) I LOVE this wall! Great work!